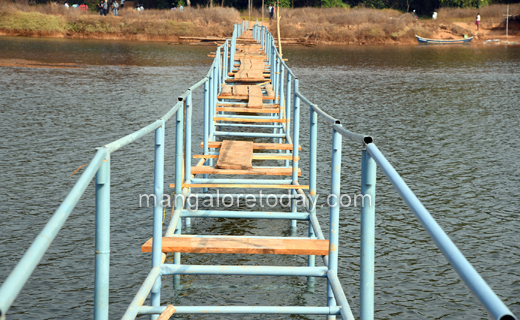 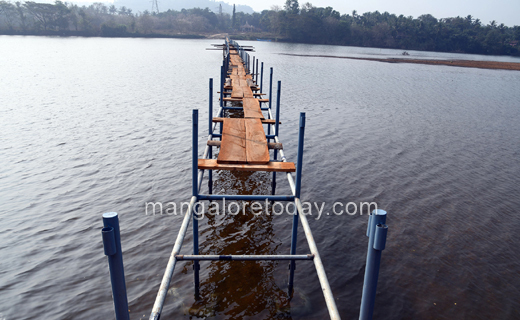 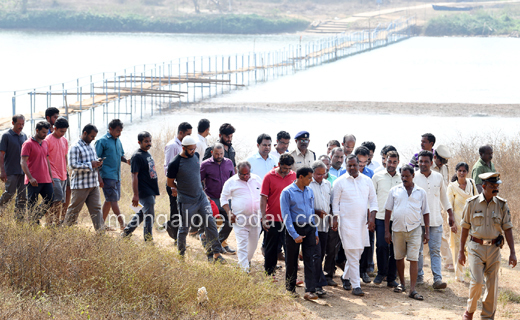 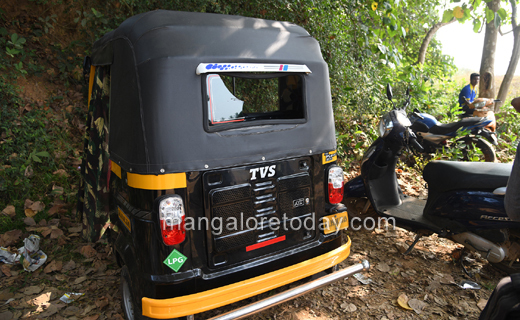 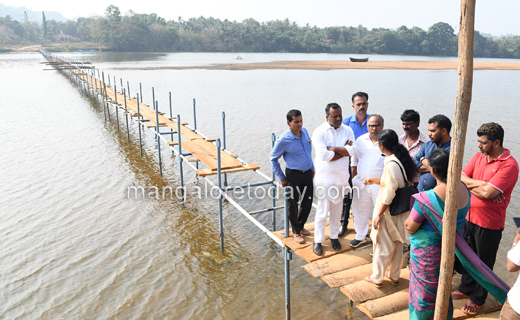 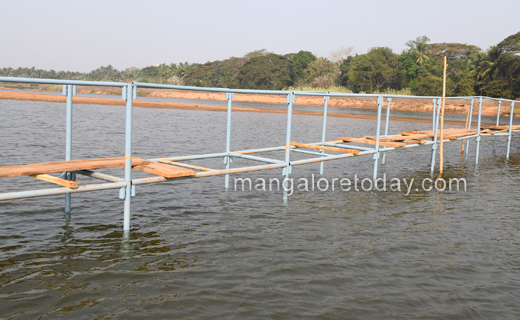 Mangaluru, Feb 02, 2019: DK District in-charge Minister U T Khader has rushed to Pavoor Uliya on February 3, Saturday following information that the new foot bridge built by the initiative of locals there has been damaged by miscreants. 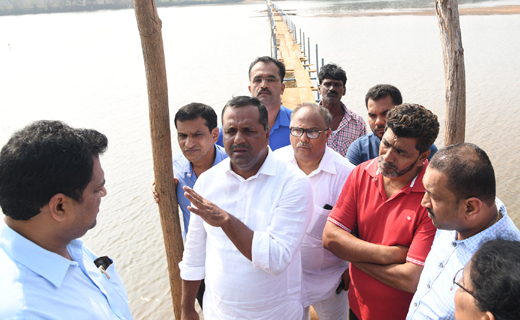 Sources suspected the involvement of sand mafia behind the damage to the bridge as well as the vehicles parked on the river side. 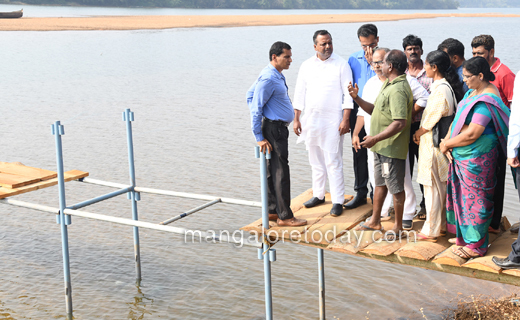 The locals had built the bridge by raising funds from villagers. 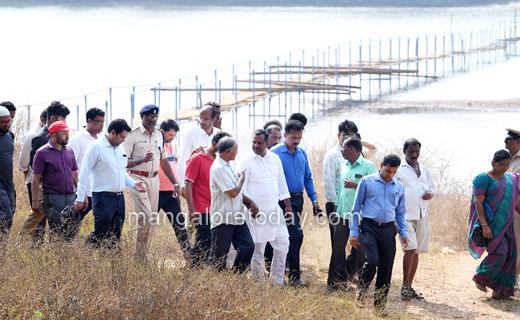 Recently they had helped the authorities in seizing boats of the sand mafia. 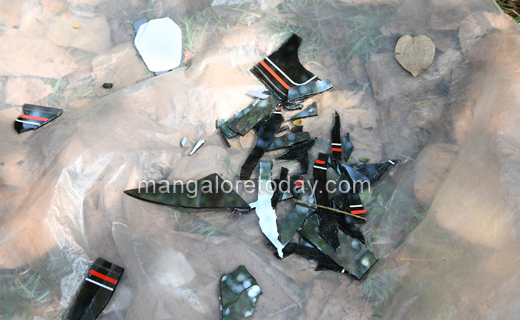 the damage to the bridge is suspected to be an act of revenge.